Regular prayer is an integral part of our lives as Christians. There are particular times in our lives, however, that we all might need the support of others in the form of prayer. Prayer can help in so many ways. At the end of each Sunday service, we have a team who will be happy to pray with and for you, should you wish. Please ask the person who welcomes you to the church or one of the hosting team and they'll be happy to guide you to the right people. We meet on Monday mornings at 9am during term time to pray in the church office for about half an hour. We also have a fortnightly Tuesday evening time of prayer held in someone's house, details of the date, time and place can be found in the newsletter. For urgent needs we have a prayer chain. This is used in cases of emergency which happen during the week. When anyone needs prayer for themselves, a friend, relation, colleague etc. If you have a request, you would like shared down the prayer chain please contact Sue on 020 8393 9583. You can give as much or as little information as you wish – names and full details are not needed. “Is any one of you in trouble? He should pray. Is any one of you sick? He should call the elders of the church to pray over him …. and pray for each other so that you may be healed.” James 5 v 13, 16. 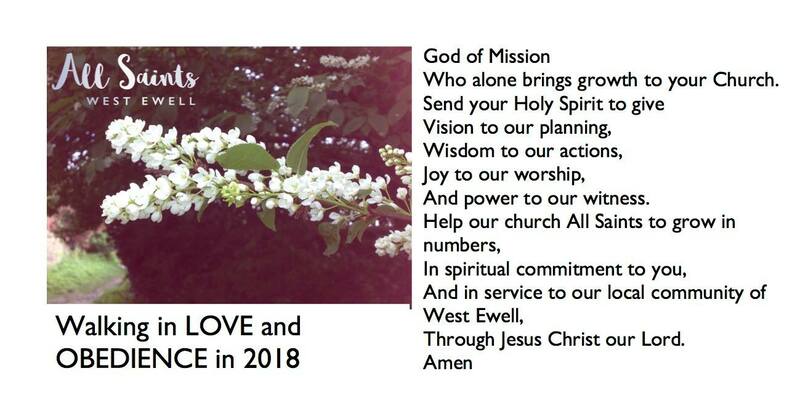 If you have something you would like us to pray for or if you would like to meet with someone and pray please contact Sue on 020 8393 9583 or revsuecooke@gmail.com It really is our joy and our privilege to pray for people, no request is too small or too insignificant.